During Black History Month (February), our team worked with McDonald’s of Kentuckiana to recognize outstanding students in the area. What our client got in return from this scholarship program was much more than media coverage and community goodwill. Through the program and the commitment of the owner operators of McDonald’s in the Kentuckiana area, we saw firsthand how giving back can change lives and make a difference. For 15 years, McDonald’s Black History Makers of Tomorrow program has celebrated diversity and young leaders in Kentuckiana by awarding scholarships to local high school seniors who demonstrate exceptional leadership, character, scholarship and community service. This year, McDonald’s Restaurants of Kentuckiana awarded the largest group yet by giving a dozen students scholarships totaling $18,000. RPR was given the opportunity to coordinate a ceremony that honored the recipients and raised awareness for McDonald’s contributions within the local community. 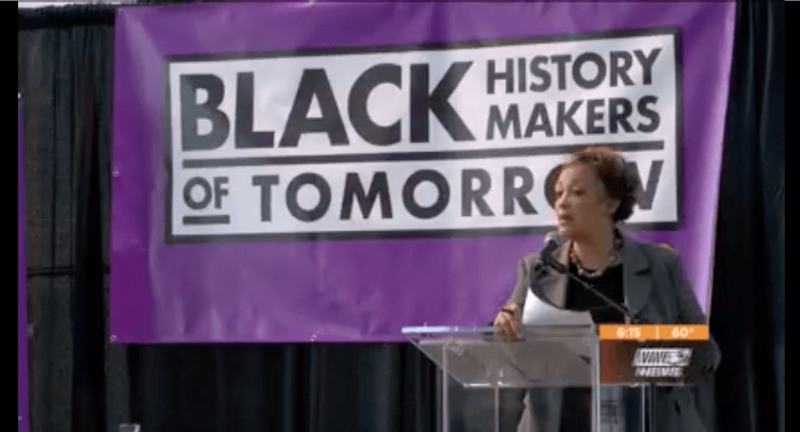 The 2019 event was the most well attended by the organization and its employees to date and featured Louisville Mayor Greg Fischer, Reverend and President of Simmons College Kevin Cosby and Dawne Gee, news anchor with WAVE 3. Twelve young people from high schools throughout Kentucky and Southern Indiana were awarded scholarships. Each of their entries was so outstanding that winners were separated by just tenths of a point. From creating the scholarship entry and judging process to recruiting community leaders to speak and finalizing all event logistics and details, it became evident to our team that the future is bright for future generations in Kentuckiana.